Two friends celebrated their November birthdays …. my bestie Gwen and one of our other School Mum friends Tracy. Here are the cards I made for them. I knew I had to use the Half Full stap set for Gwen’s card…. it is perfectly us! 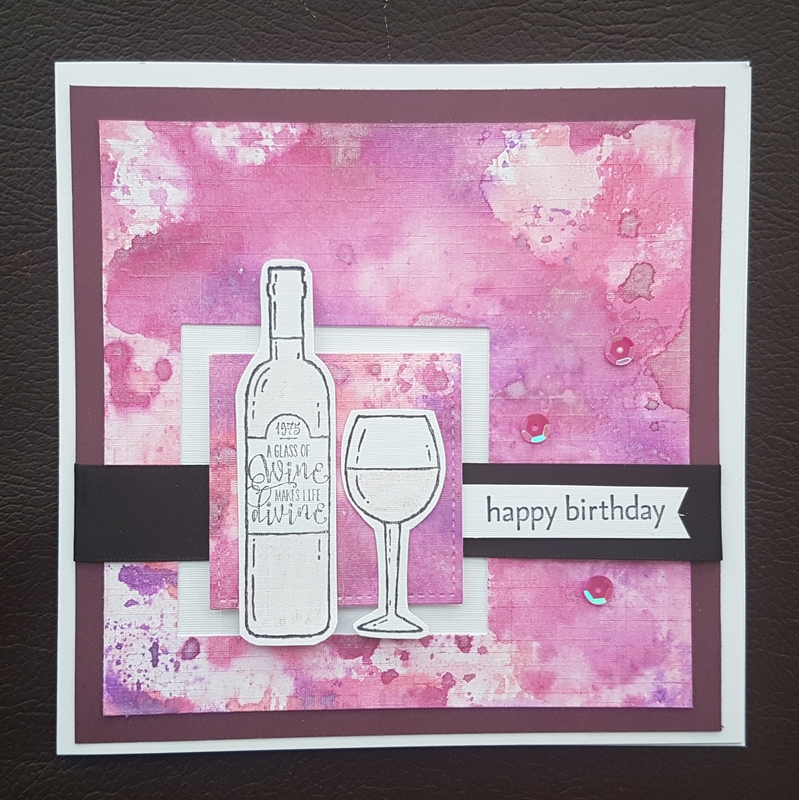 I created the background first using distress oxides then die cut the squares to create a feature. 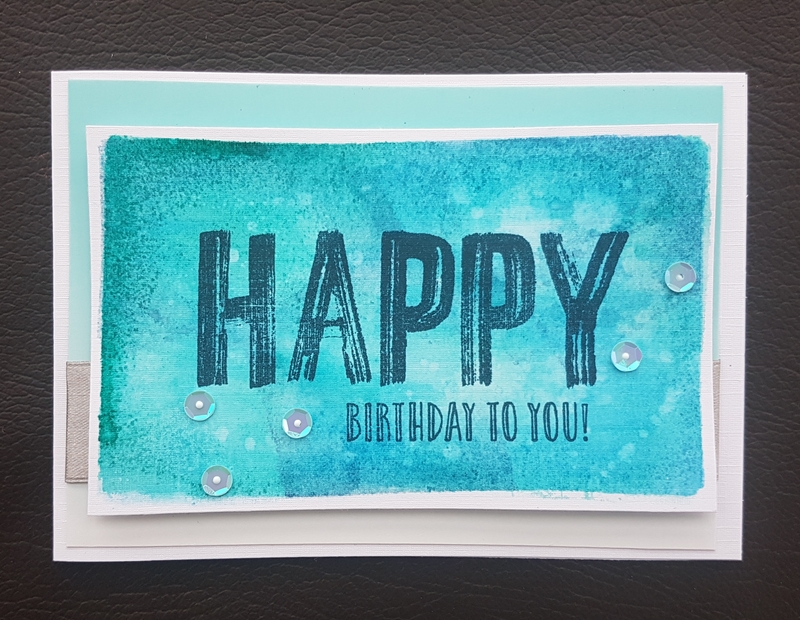 I added the ribbon, sentiment and then the feature stamps on the top. Then added the sequins for added sparkle. Tracy’s card I created the background using the distress inks and a gelli plate. I love the watery feel this gave it. Then using the Happy Celebrations stamps I stamped the sentiment. Again some sequins to finish and a silver ribbon under the raised topper to add some texture.